Posted at 5:20 pm on February 13, 2018 by Brett T.
Now that Omarosa Manigault Newman is out of the White House and in the “Celebrity Big Brother” house, she’s not hesitating to bash Trump (whose tweets “haunted” her every single day) or Pence, whose Christian faith goes a little too far for her taste. 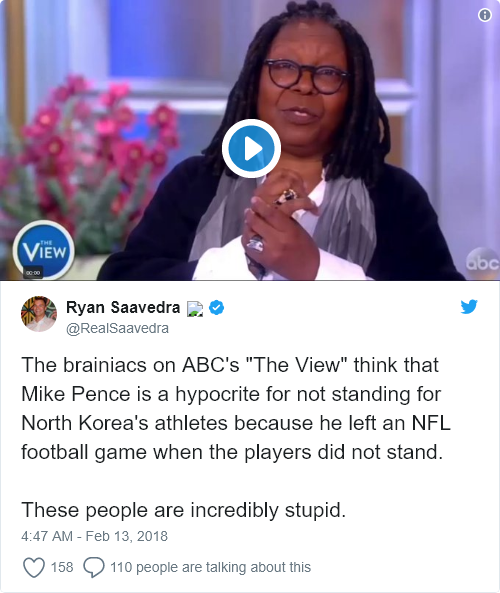 Julia Manchester at The Hill has this week’s “Celebrity Big Brother” recap, where Omarosa claimed that people would beg for President Trump back were Pence to move into the Oval Office. “He’s extreme. I’m Christian. I love Jesus. 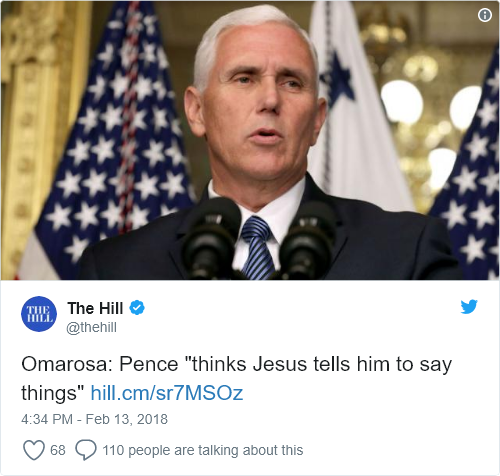 But he thinks Jesus tells him to say things,” she told her housemates. 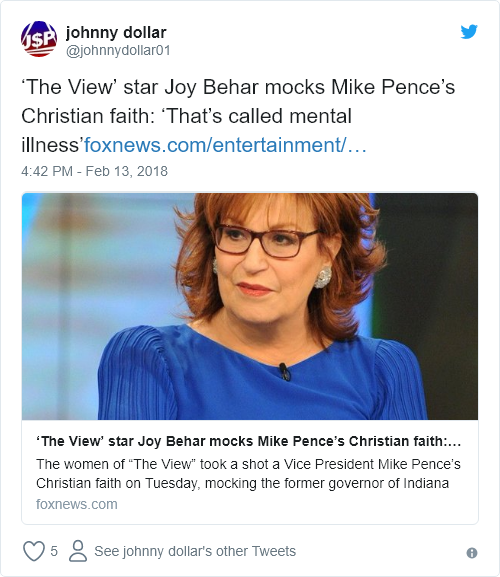 The ladies of ABC’s “The View” also reacted to that clip of Omarosa, which brought a lot of laughter to the audience and gave Joy Behar a chance to dust off some old material.